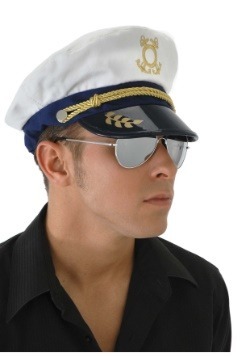 Ahoy, sailor! 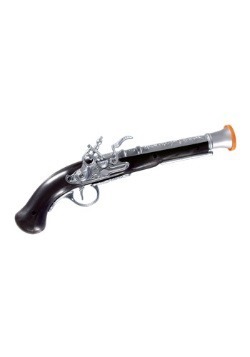 Are you ready to go on a voyage across the ocean or, at least, across town to the biggest Halloween bash in the neighborhood? Well, you can’t represent the naval forces of your great nation with a t-shirt, jeans, and a pair of sneakers! 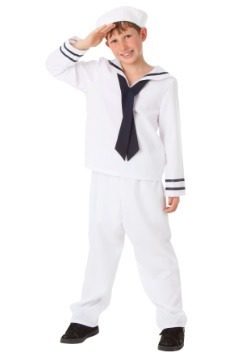 No, you need something that makes you ready for anything, attire like this Vintage Sailor Costume for example. 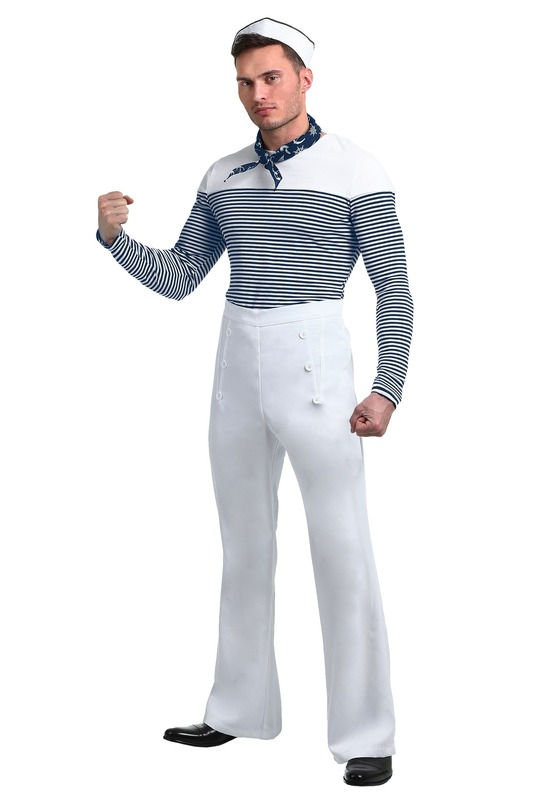 Once you toss on this outfit, you’ll be ready to do anything from swabbing the decks to hitting the dance floor. 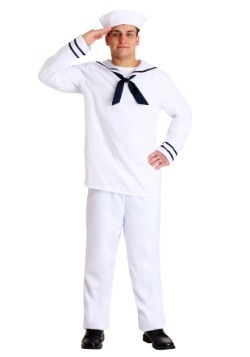 Join the armed forces this Halloween when you toss on our retro naval soldier uniform. 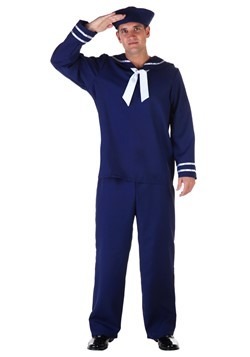 Everyone else will go out as superheroes and star athletes but you can show everybody what a true hero looks like with this navy-inspired costume. Sure, a lot of people may want to hear about the adventures all around the globe had by a sailor like you, but you’ve got better things to do. Instead of telling old sailor tales, enjoy the night on the dance floor. With a sturdy set of sea legs like yours, we can’t wait to see what kind of moves you can bust out on dry land! 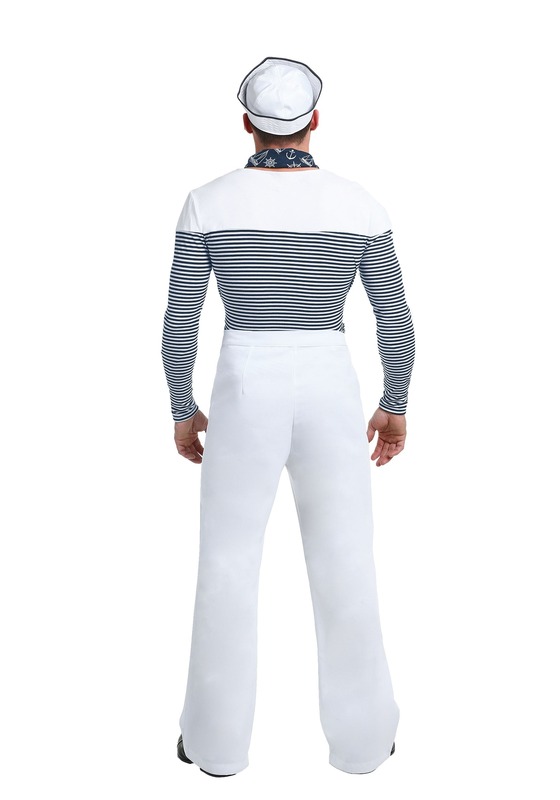 This costume is made of 100 percent polyester. The knit pullover shirt has a white yoke and both the sleeves and the body are stripped. The pants have a zipper down the side and there are also decorative buttons on the front of them to give a button-fly look. 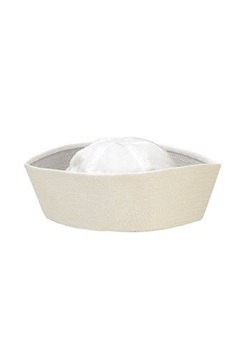 You can tie the triangular bandana how you wish and the white sailor cap is also included. 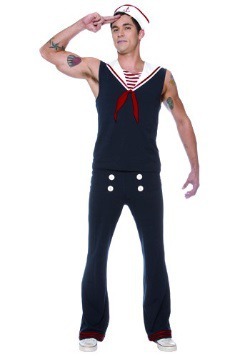 Set sail into the night this Halloween when you dress up in this Vintage Sailor Costume. Whichever port you decide to venture towards, we’re sure you’ll find a great party to drop anchor at and enjoy conversation with the land-lubbers.